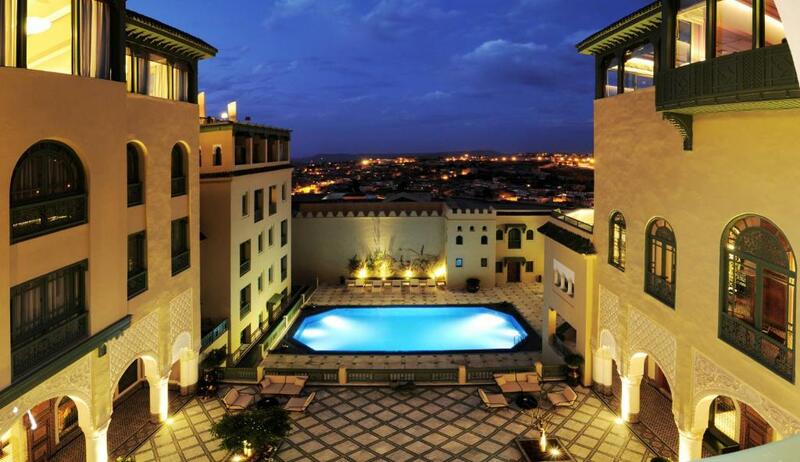 Lock in a great price for Palais Faraj Suites & Spa - rated 9.1 by recent guests. The room is superb. And we luckily got the upgrade,which made the stay even better. 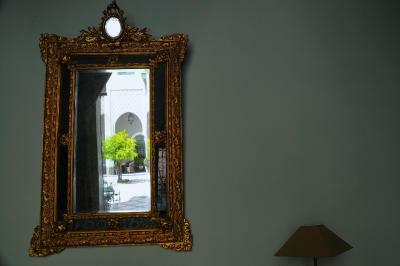 Excellent, Superb Hotel, everything is perfect, location, impeccable service. 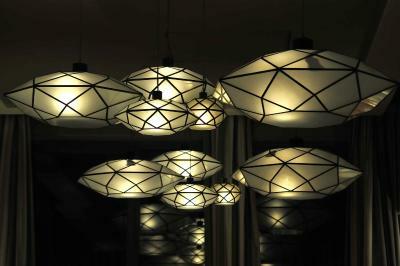 The installations are beautiful. 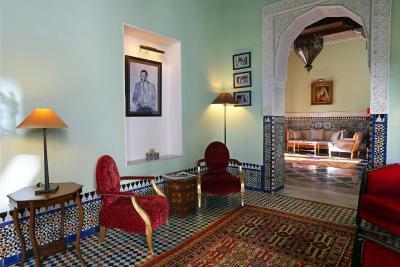 Five stars Riad close to Old Medina. 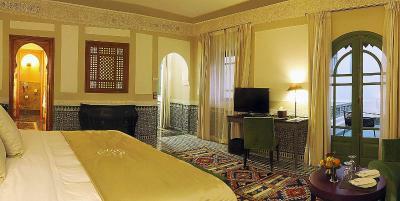 Rooms are outstanding, bedding is very comfortable, very spacious rooms. 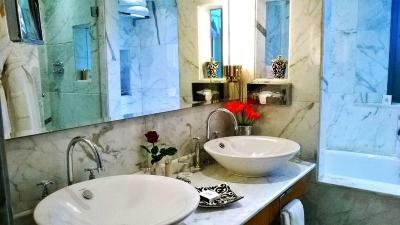 We really appreciated being given an upgrade to a suite on arrival, excellent facilities, beautiful pool. 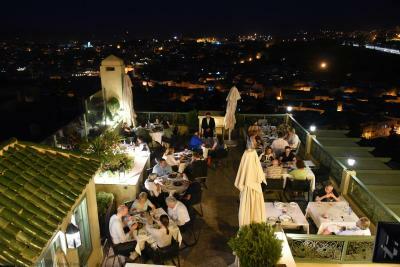 Great service in the restaurant, we fancied a change and went for the international menu but slightly disappointing. The Moroccan menu a better bet. 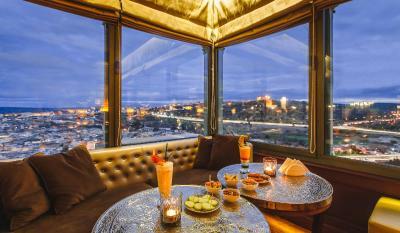 A great spot for a sunset aperitif in the stunning roof top bar. 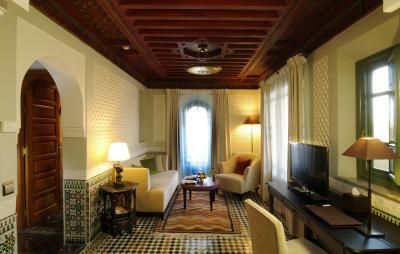 Location (close enough to the medina that you can walk, while a bit away from the hustle and bustle so one can relax). 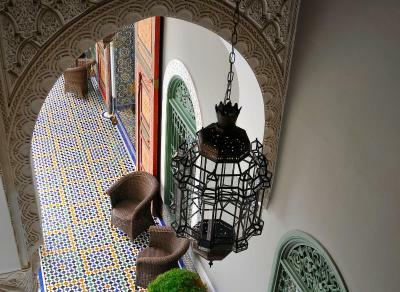 The hotel offers rides to close by destinations such as restaurants, ATM machines etc..), staff (thank you Hatim for your lovely hospitality, help and recommendations), food..beautiful Palais in lovely Fes that really takes you back in time whilst providing all the modern amenities. 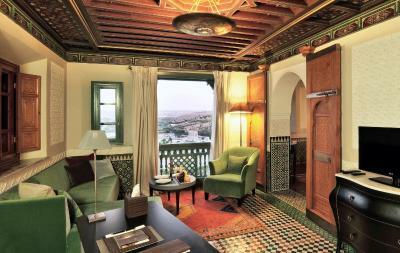 One of our top picks in Fès.Set in the heart of Fès in a former Arab-Moorish palace, Palais Faraj Suites & Spa offers a view of the medina. 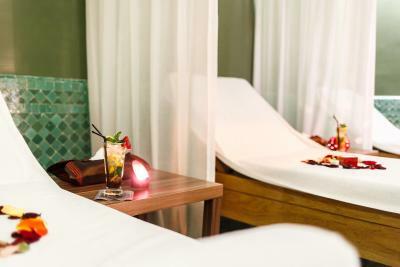 It features an outdoor pool, spa, hammam, massage treatments and beauty salon. The reception is open 24 hours a day. 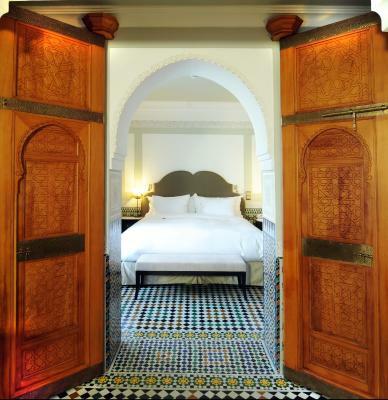 Each air-conditioned, modern suite is decorated with Moroccan Zellige tiles and has free Wi-Fi, minibar and flat-screen TV with satellite channels. 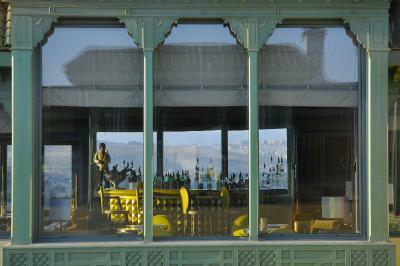 All have a private bathroom and some have a terrace. Breakfast is available daily at Palais Faraj Suites & Spa. 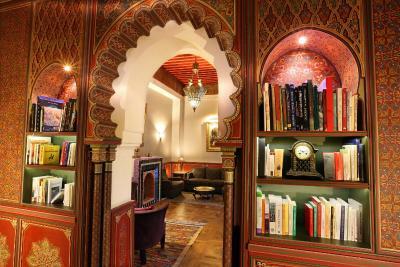 For other meals, Moroccan dishes are available in Amandier, one of the hotel's 2 restaurants. There are also 2 bars on site. This hotel is in the Ziat district, a 5-minute drive from Fès Bus Station. 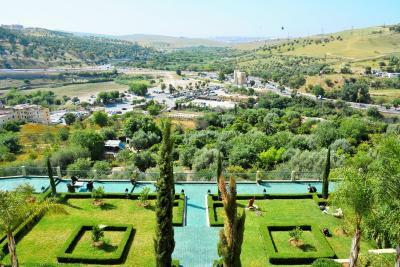 It is 30 minutes’ drive from Fes-Saiss Airport. At a surcharge excursions to places of interest and airport transfers are available. 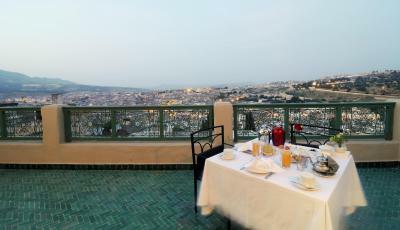 Fes El Bali is a great choice for travellers interested in street markets, markets and shopping. 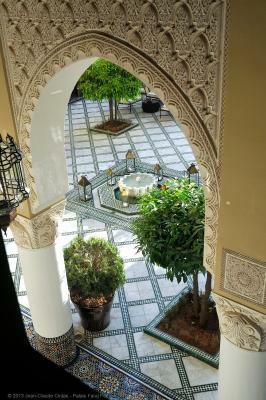 This is our guests' favourite part of Fès, according to independent reviews. 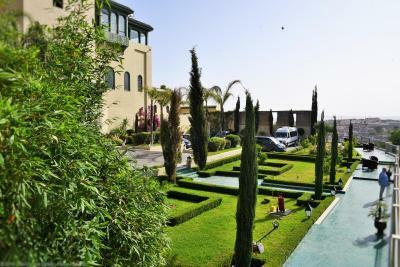 Palais Faraj Suites & Spa has been welcoming Booking.com guests since 10 Feb 2012. 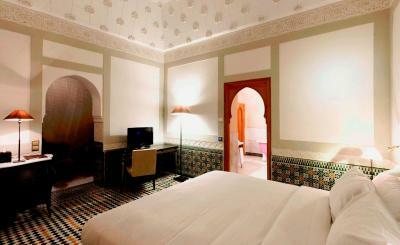 When would you like to stay at Palais Faraj Suites & Spa? 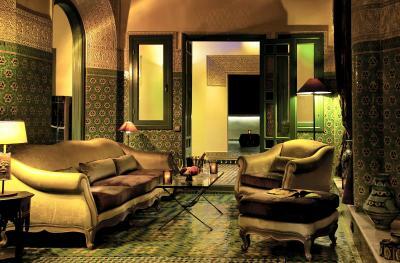 -walls decorated with Zellige tile work. 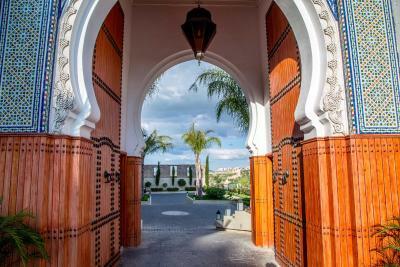 Since it’s recent opening in 2012, many artists, writers & world leaders have already been touched by the unique aura that makes Palais Faraj Suites & Spa a new legend in the luxury hospitality in Morocco. 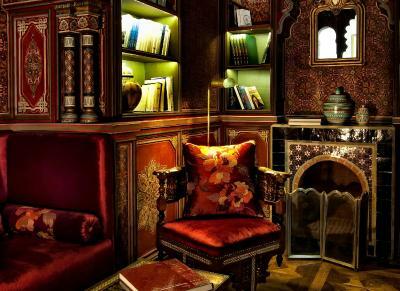 A new signature of the talented architect & interior designer Jean Baptist Barian, former King’s architect who subtly reflects Moorish charm in a smooth contemporary style, using tailor-made furniture, collection of paintings and art works from all over the planet. 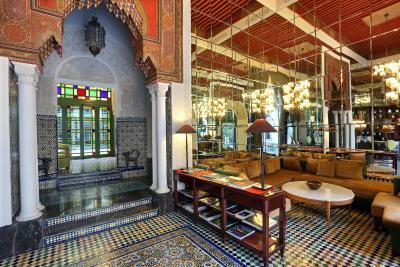 The architectural heritage of the 19th century palace combined to the attention to detail and inner hospitality of the site holders has turned Palais Faraj into an iconic place for travelers in search of genuine and refined experiences. 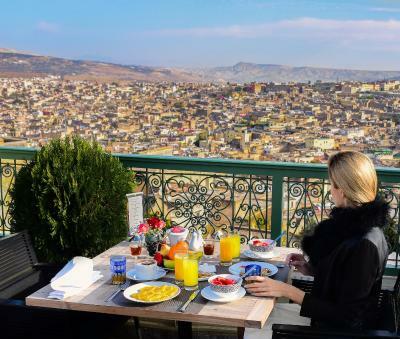 Whether for a luxurious stay in Fez, a gourmet culinary experience or a wellness cure, Hotel Palais Faraj Suites & Spa Fez is dedicated to providing you the must of a millennial and yet unknown civilization at only few hours from home. Hotel surroundings – This neighbourhood is a great choice for travellers interested in street markets, markets and shopping – Check location Excellent location - show map Guests loved walking around the neighbourhood! 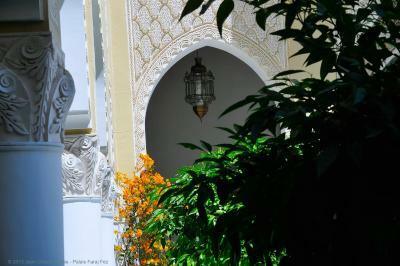 Fes el-Bali is an ancient walled district comprised of thousands of winding alleys. 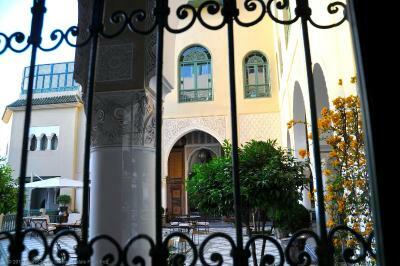 Start at Bab Bou Jeloud Gate and wander past stunning tiled doorways and examples of grand Islamic architecture. 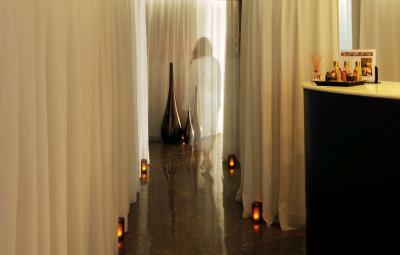 House rules Palais Faraj Suites & Spa takes special requests - add in the next step! Palais Faraj Suites &amp; Spa accepts these cards and reserves the right to temporarily hold an amount prior to arrival. 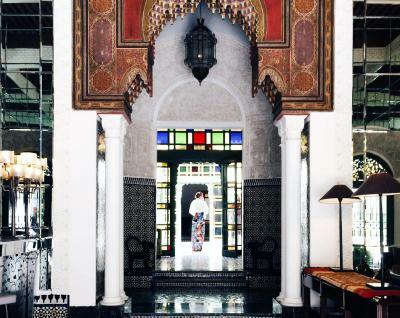 Palais Faraj Suites & Spa accepts these cards and reserves the right to temporarily hold an amount prior to arrival. 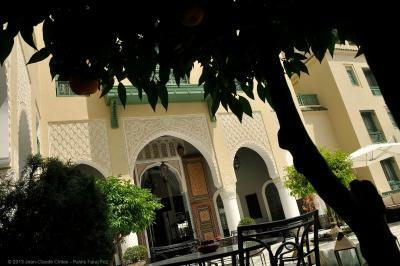 One of the most picturesque neighbourhoods in Fès! 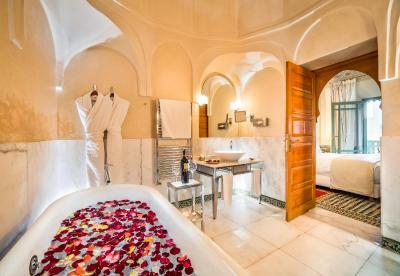 Hamam suite has only bathtub no shower . 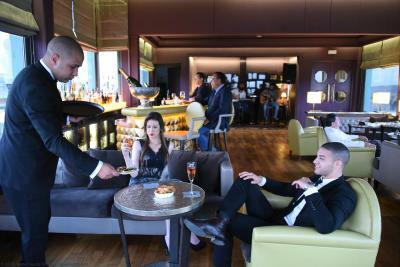 Our room was located under the bar which was noisy on Saturday with music and the footfall. 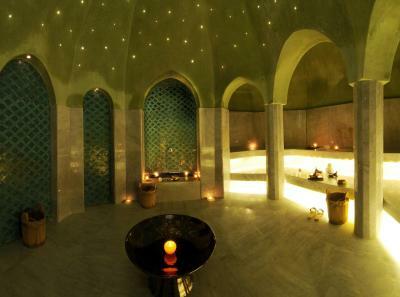 The hammam at the spa was disappointing! Nothing on walking distance from the location and we were told not to walk around the hotel by ourselves especially at night. so were made sure we have our private driver to take us to wherever we want to go. 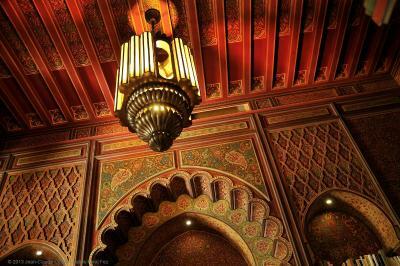 I can hardly put into works how spectacular the Palais Faraj is. 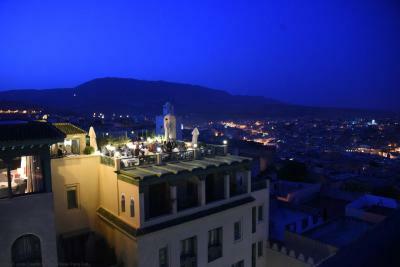 The views were phenomenal, accommodations are stunning and the Riad is incredibly clean. We had planned to stay for 2 days but our initial flight was cancelled and we were only able to stay for one- we were genuinely upset to get so little time there. 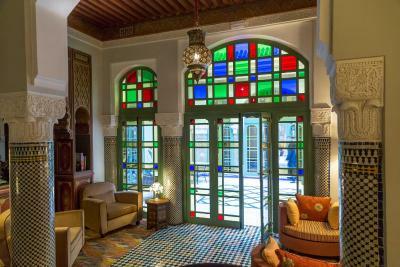 The staff made it simple to get a cab from the Riad to dinner and back, and was great about refunding 50% of our first night, even though it was on a day's notice. 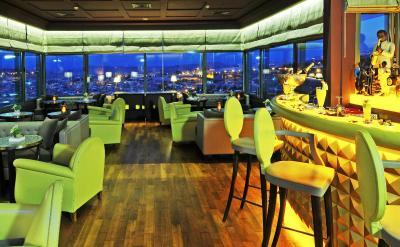 The restaurant was shockingly poor, for a supposed 5 star hotel. Restaurant in the hotel is disappointing, dishes on western menu are not up to standard, service is slow too.